Christmas is almost here and I know that whilst some of you are already sporting this year's festive trimmings, others are still holding back and resisting temptation. I always remember my horror as a schoolchild when a friend revealed that his family always delayed bringing a fir tree into the house until Christmas Eve! I prefer to make the most out of the festive look by decorating a couple of weeks in advance so I really get a chance to soak up the each and every decoration but everyone has their own way of doing things, right? It is also a tradition in our household every December to cosy down to a viewing of Meet me in St Louis with the fir tree lights twinkling away, the log burner gently glowing and all presents wrapped and safely tucked away under the tree. It is at this point that I truly feel like Christmas has arrived - pure magic! Speaking of traditions, which nicely brings us to the third in this series of festive styles with a look at one of my all time favourites, Scandi-style. I love the use of natural materials in the selections below which are so heart warming with their distinctive handcrafted look with subtle reds and off-whites. 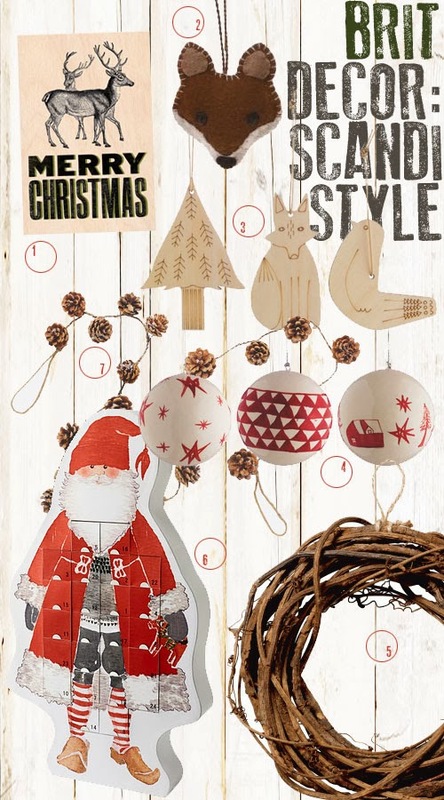 How cute are the wooden tree decorations (no.3) from Habitat? And from the same brand is the stunning pine cone garland (no.7) great when combined with the warm reds of these papier mache baubles (no.4). True to its Scandinavian roots, IKEA brings us this fetching Santa Claus advent calendar, which you can fill with your own choice of little gifts year after year. If you wish to compare all three styles in this series, you can find part one, Simplicity here, or part two Colour Burst here. 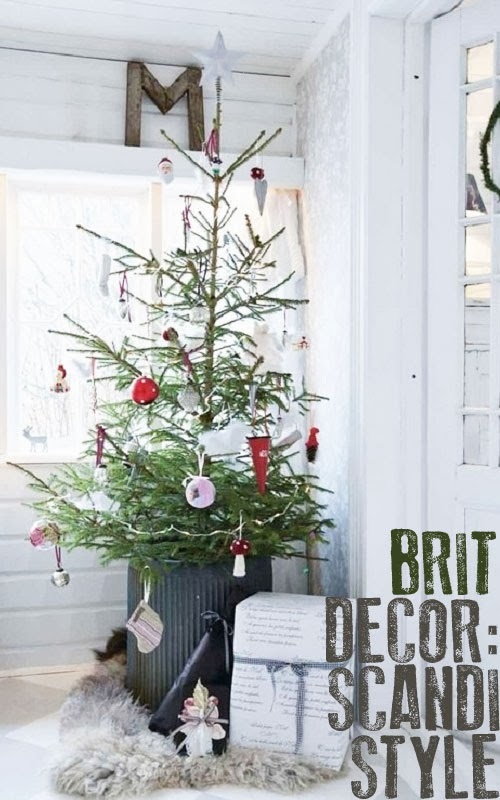 So when do you begin the festive decorating in your home?